We combed the 2014 Interbike tradeshow floor today in search of new products from companies big and small. Here are some of the highlights. Stay tuned for more galleries in the coming days. 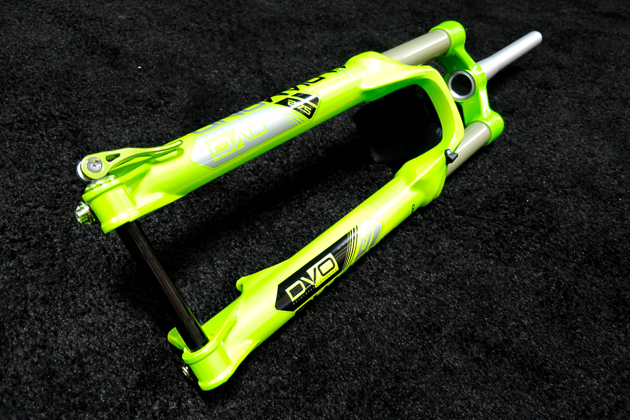 The small-batch, enthusiast-driven suspension company, DVO Suspension, will be launching its new ‘Diamond’ all-mountain/enduro fork later this year. The Diamond, which was designed with input from Cedric Gracia, features several well-conceived tuning options for discerning riders. 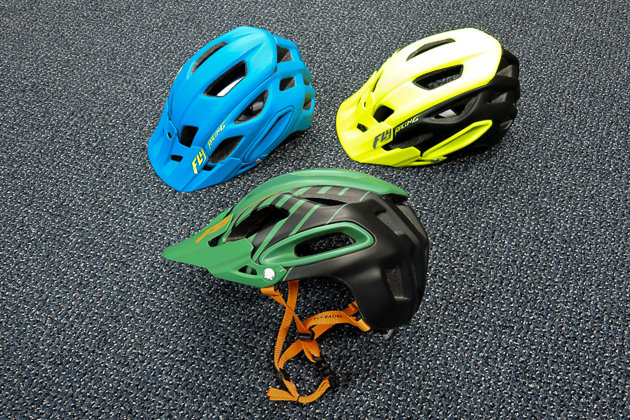 Fly Racing, popular in the motocross and BMX worlds, is making a concerted push in the mountain-biking market with a full line of apparel and protection gear, including this Freestone trail helmet. 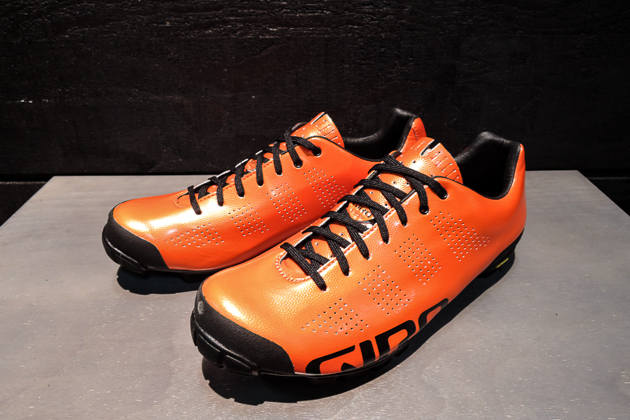 Blending the best of past and present, Giro Cycling has fused the comfort of lace-up retention with modern materials such as Easton carbon and Vibram rubber soles for its new ‘Empire’ cross-country race shoe, which will retail for $300. Reynolds’ new Blacklabel 27.5 AM wheels are meant to tackle hard-hitting enduro and all-mountain riding. 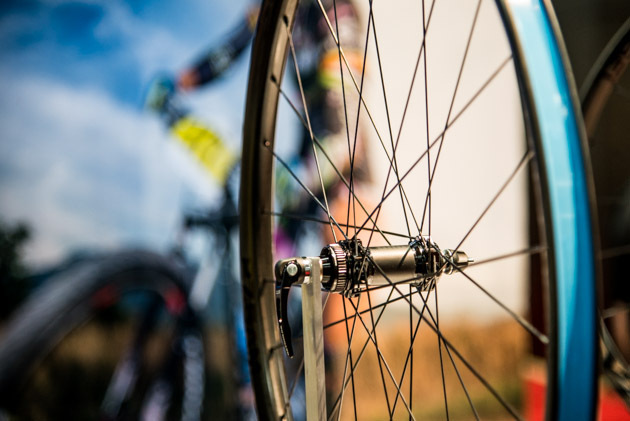 They are 23-millimeters wide, tied with 28 spokes and made of MR5 carbon. Long known for its hilarious and witty knit graphics, the inimitable Sock Guy is expanding his line of performance socks while maintaining his penchant for provocation. 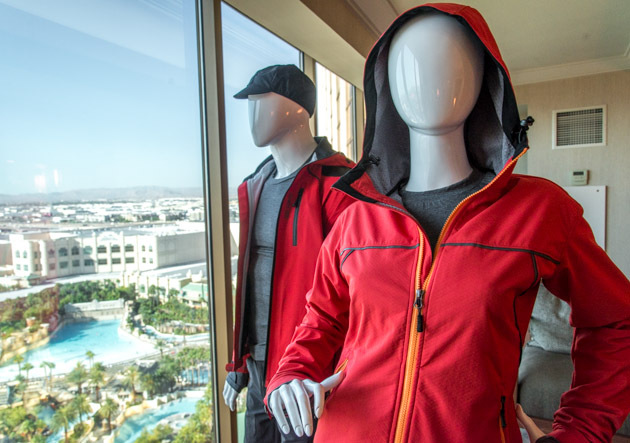 Northwest-inspired Showers Pass focuses mostly cycling-specific outerwear and has introduced several new products to their line, including the women’s-specific Rogue and men’s Refuge. 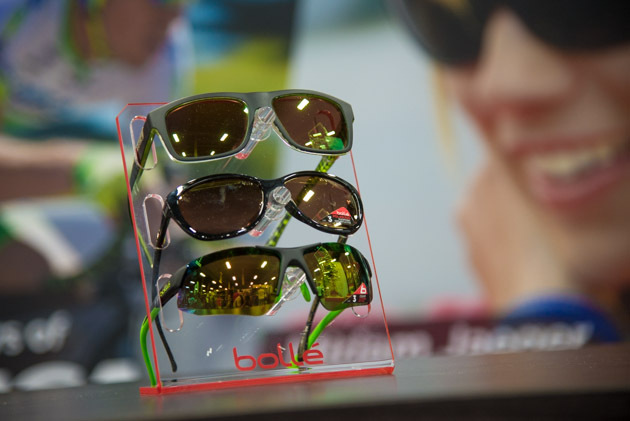 Bolle’s lifestyle glasses are a reasonable $99 across the board and feature polarized polycarbonate lenses, anti fog coating and a smudge proof layer. Their performance glasses feature Trivex lenses, which is lighter than polycarbonate and has superb optical quality. Ever been stung in the crank hole by a Scorpion (Bike Stand)? 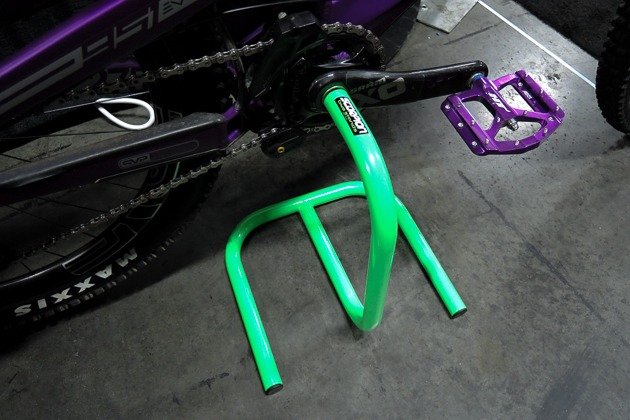 This trusty bike stand is designed for bikes with hollow spindles. Outdoor audio has been on the rise over the past several years, and this year at Interbike, rugged audio seems to be around every corner. 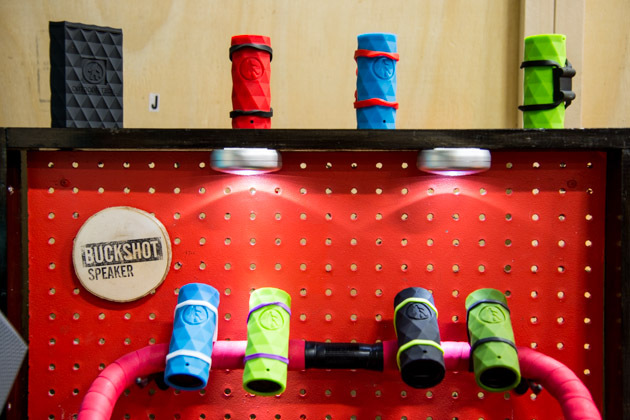 Pictured here is the Outdoor Technology’s Buckshot, which can be attached to a handlebar and features a built-in mic. 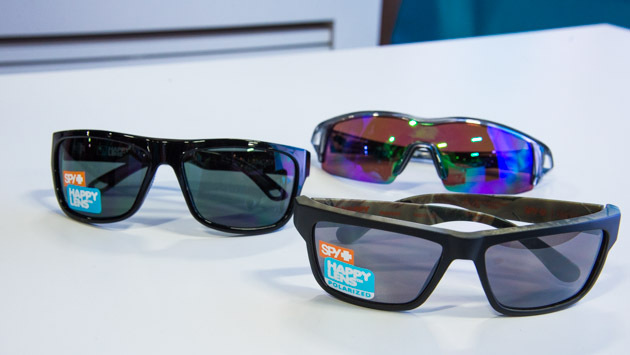 Spy Eyewear wants you to get happy with their new “Happy 20” line. They have designed the lenses to block out the harmful UV and UB rays, while allowing in the Sun’s good rays. Back to front: the Screw, Angular and Front. 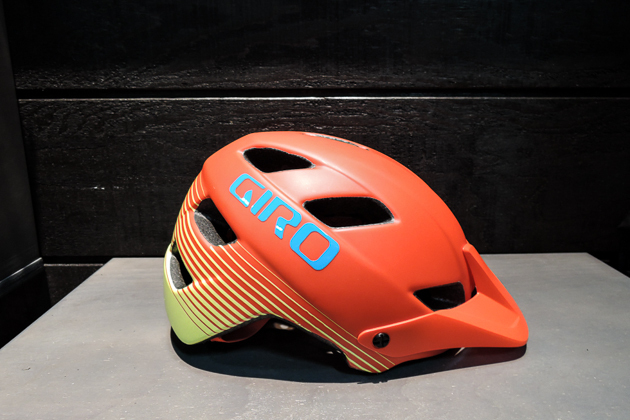 This year’s Giro’s Feature helmet has incorporated the increasingly prevalent ‘MIPS’ technology, which centers on a floating layer intended to reduce rotational impact. The redesigned Feature will retail for $95.